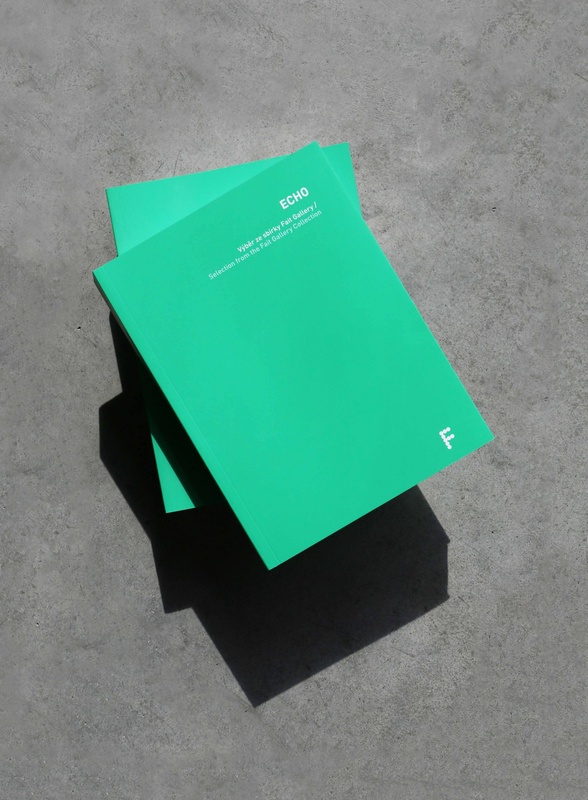 On the occasion of the ECHO exhibition, the Fait Gallery catalog is published featuring 100 works of artists across generations. You can view and buy it tomorrow at the vernissage. 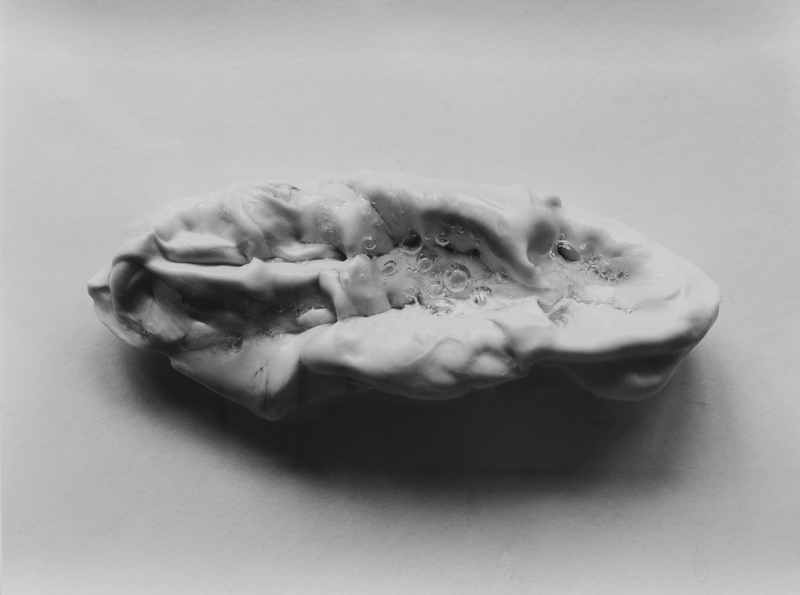 We cordially invite you to the opening of the new exhibition ECHO / Selection from the Fait Gallery Collection, which will take place on Wednesday 27 March 2019 at 19:00. Opening of the exhibition ECHO on Wednesday 27.3. ECHO / Selection from the Fait Gallery collection. Today we celebrate our 7th birthday! 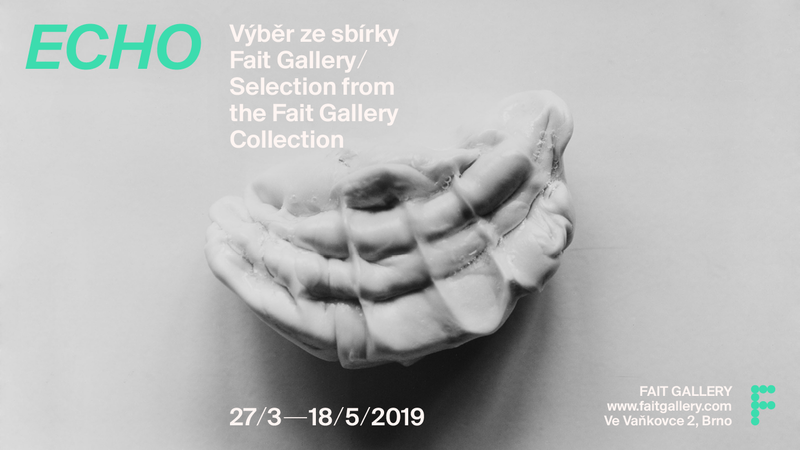 Thank you for your kindness and we kindly invite you to the imminent opening of the ECHO / Selection from the Fait Gallery, which will take place on Wednesday 27th March at 19:00. Karel Malich's autumn exhibition is among 40 expected events this year. 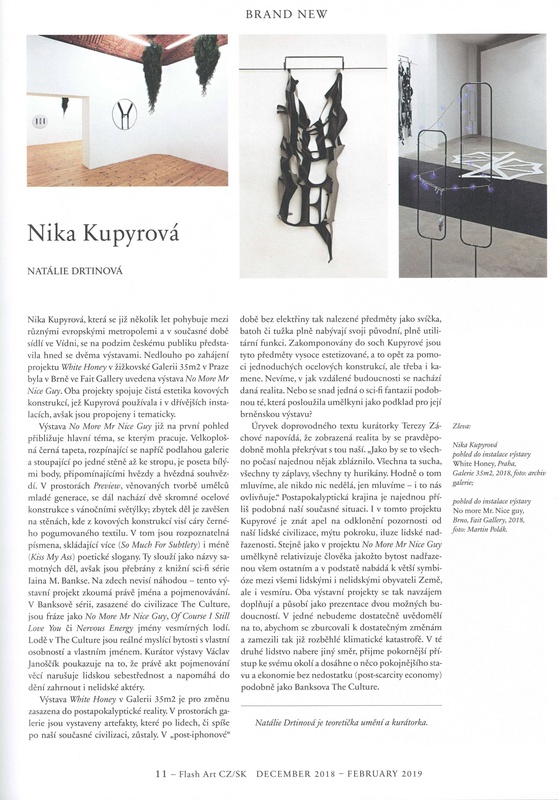 About the exhibition of Nika Kupyrova No More Mr Nice Guy, read in the current issue of Flash Art Magazine (no. 50) on page 11. 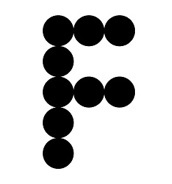 From 14 January to 26 March 2019, Fait Gallery will be closed for reinstallation. Thank you for your understanding and we look forward to seeing you at the opening on Wednesday, March 27 at 19.00. The exhibitions of Vladimír Kokolia, Alena Kotzmannová & Q: and Nika Kupyrova can be visited only until Saturday, January 12, when we invite you from 10:00 to 17:00 on the Day with Vladimír Kokolia. 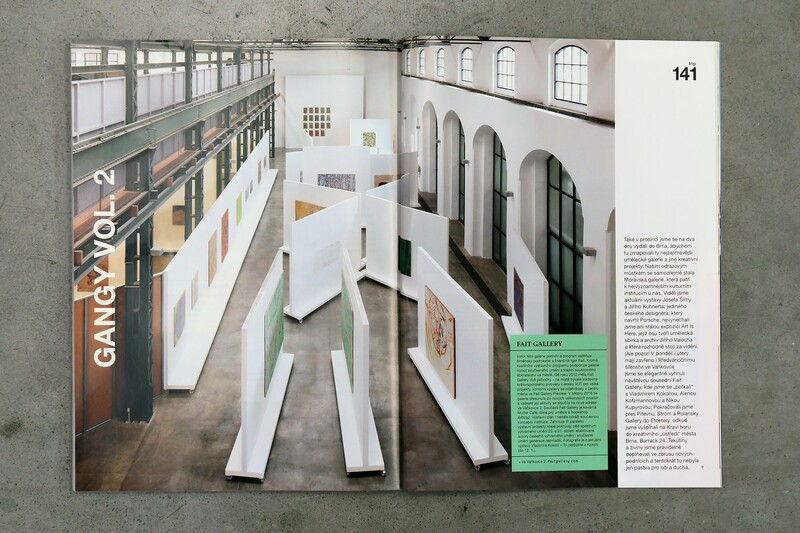 About the Fait Gallery and the exhibition of Vladimír Kokolia, read in the current issue of Dolce Vita magazine.